The College production of John Whiting's "No Why" was performed on the evening of 23? March 1977. 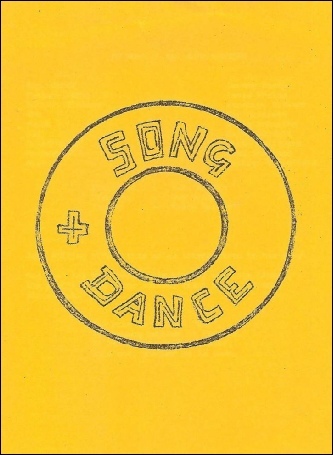 It was coupled with the production of Androcles and the Lion under the generic title "Song & Dance". 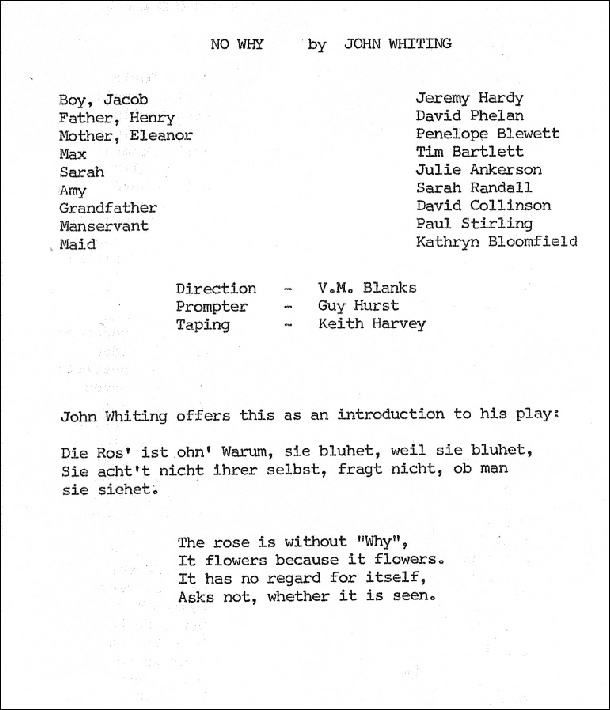 We have included the full cast list (which includes Jeremy Hardy as the boy Jacob), but no photos of the production have so far been located, along with the cover used for the joint programme of both productions.